2015 Audi Q5 3.0T Diesel Premium Plus Quattro- Clean Carfax History Report with Documented Service History. Non Smoker and Always Garage Kept and It Shows Like New... Panoramic Sunroof/Moonroof, Navigation, Backup Camera, Heated Seats and All the Power Options You Expect on an Audi. 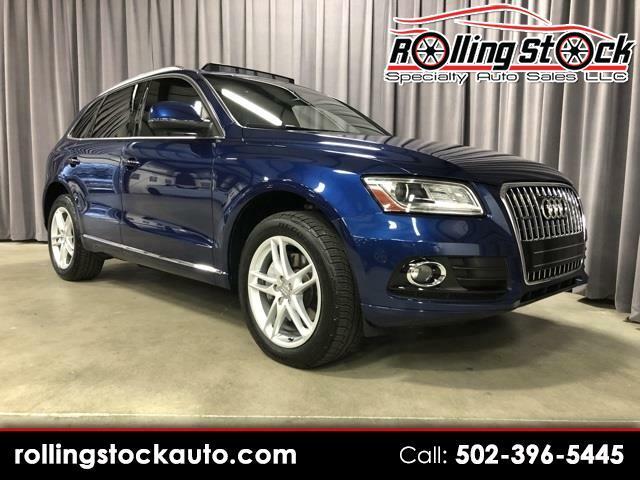 The Diesel's Are Known for Spectacular Fuel Economy and Long Life so Contact Cary Donovan 502-396-5445 and Schedule Your Appointment to See this Awesome Q5 on Display at My Louisville Indoor Showroom Today.